A new federal program, known as Opportunity Zones, provides steep tax credits for investment in poor neighborhoods. But the proposed selection of some thriving Detroit neighborhoods such as Indian Village, downtown and Midtown – is causing consternation. Detroit is a city with abundant need. The poorest big city in America, there are few corners that couldn’t use help. So critics wonder why a new federal tax incentive program – intended to benefit the poorest neighborhoods in the nation – is poised to help areas of Detroit that are doing the best. And it’s not just the Motor City; state officials have also designated areas in some affluent counties in northern Michigan. Known as Opportunity Zones, the program was created as part of the Republican tax cut signed by President Trump in December. It will provide steep tax credits to developers who invest in designated areas where at least 20 percent of residents are impoverished. The deadline is Wednesday for states to submit recommendations to Washington. Michigan’s application contains neighborhoods in almost all 83 counties, and some of the finest enclaves of Detroit: Indian Village, downtown, Midtown, Grandmont Rosedale and East English Village. Not included: Chandler Park, where 85 percent live in poverty, Herman Gardens (76 percent), and vast stretches of the west side where 3-in-4 residents live in poverty. Critics are wondering why some of the poorest sections of Detroit haven’t been included in the state’s proposed Opportunity Zones, which can take advantage of newly created tax breaks. Use the map to see poverty and income rates across the city. The striped areas are Opportunity Zones. “What data are you using if you think Indian Village or downtown is impoverished?” asked LaToya Morgan, director of Community Development Advocates of Detroit, a nonprofit that works to stabilize neighborhoods in the city. “It seems like you’re focusing on areas that aren’t impoverished at all, and doing so could be pushing people out” of areas getting the designations. City and state leaders defend the selections, saying the program is intended to provide a nudge to developers to invest in underserved areas or those adjacent to them. The zones allow developers of new projects to put capital gains taxes in a fund, which are forgiven in 10 years if the project isn’t sold. The deal saves as much as $7.50 in taxes for each $100 in investment, one study found. States can only nominate 1-in-4 of all impoverished areas, so it chose neighborhoods where development is likely to occur, said Brian Mills, chief operating officer at the Michigan State Housing Development Authority, which is leading the application effort. “The program is very clear to make sure that these zones should have the potential for tangible projects already in the pipeline,” Mills said. Others say program planning is being tested by a rushed timetable. Rules were created early this year, and the application deadline came only about six weeks later. More than 1,050 Michigan census tracts qualify, but only 288 can be nominated. The federal government is expected to make a decision on applicants later this year. No doubt, some deserving neighborhoods won’t get relief, and the process has been anything but “thoughtful and deliberate,” said Jamie Schriner, executive director of the Community Economic Development Association of Michigan, a Lansing nonprofit that promotes improvement in underserved neighborhoods. “It’s very confusing and some folks are very frustrated,” she said. The program also allows areas that are adjacent to poor neighborhoods to qualify, creating a loophole that allows solidly middle-class neighborhoods like North Rosedale Park in Detroit to be included in the state’s application. Rosedale’s median household income is $73,000, nearly triple the city’s average of $26,000. Nearby neighborhoods, not designated as Opportunity Zones, have poverty rates of as high as 50 percent and median incomes of less than $18,000. and the northern tip of Emmet County, one of the richest counties in the state, just west of the Mackinac Bridge. In Kent County, there are 10 eligible census tracts, including eight in Grand Rapids and two in Wyoming. Karyn Ferrick, legislative affairs director for Grand Rapids, acknowledged the procedure for determining tracts was somewhat rushed. “It certainly wasn’t a long process,” Ferrick told Bridge. Mills said state housing officials developed the list of applicants and has done so under a tight time frame. He and others went to Washington D.C. earlier this month for clarity on the rules. He said some city officials, including those in Detroit and Grand Rapids, provided recommendations. Detroit’s proposed Opportunity Zones almost completely overlap areas the city has prioritized for other redevelopment projects: Livernois/McNichols, the Villages/East Riverfront and Southwest Detroit, as well as some industrial areas. That strategy is intended to bolster stable neighborhoods to create development that will spill over to nearby ones, but it has prompted complaints about fairness from neighborhoods who residents say they are routinely passed over. Critics say that favoritism is continuing with the Opportunity Zones. “This is just more of the same: diverting public money into the hands of a private few,” said Monica Lewis-Patrick, a co-founder of the We the People of Detroit activist group. Debate comes less than a year after the Urban Institute, a nonprofit Washington D.C. think tank, concluded that tax subsidies in Detroit disproportionately favor downtown and Midtown. The report found those areas received 57 percent of state, federal and local tax subsidy investments from 2013 to 2015, even though they only contain 46 percent of the city’s 245,000 jobs. In rapidly changing areas of Detroit, many say they are concerned about displacement of poor residents. Morgan of the Community Development Advocates group in Detroit said she fears Opportunity Zones could hasten the process. “This is all happening so quickly, and there’s not a lot of analysis out there on how this would work or happen in Detroit,” Morgan said. “In an optimistic scenario, the tax benefits might encourage purchasing and rehabilitating residential property or expanding local businesses,” he wrote. This program was never designed to benefit the poor/underprivileged. It's not so subtle purpose is to create increased taxation areas and the businesses that derive tax benefit. What would you expect from a business driven national and state government. The Golden Rule:Them that has the gold makes the rules. Seems the same kind of thinking that allowed the state to use Hardest Hit funds to knock down homes instead of, as originally designed, to save homes from foreclosures. A kind of 'supply side' mentality; the already well off, if showered with tax money, will lift all yachts. "We love the rich people. Rich people generate jobs and taxes with the expensive things they buy and the fancy restaurants where they eat, Bloomberg said - but they aren't making much money as the stock market collapses, and raising taxes on them will just drive them away." 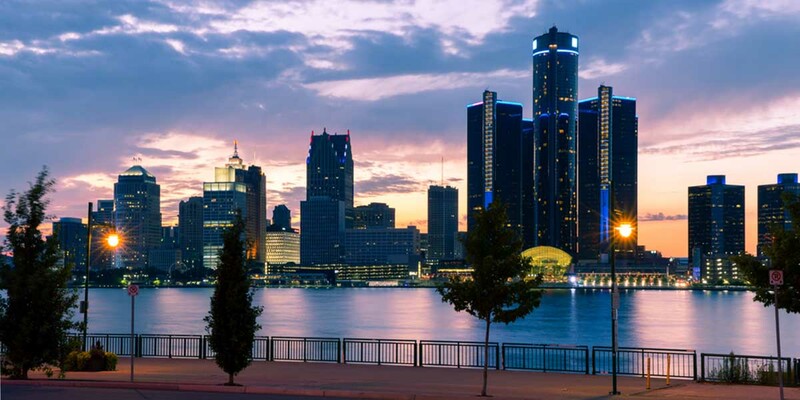 I hope Detroit stays on focus and continues to attract "rich" people who will invest to cure the mess that the "excluded" created by destroying this once hard-working rich city.